Wow! 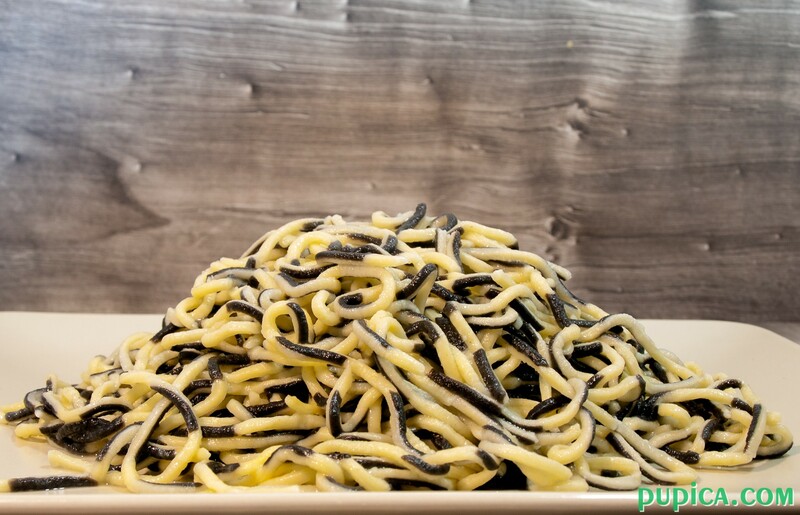 I finally got to make these “tiger spaghetti” (as my son called them) and they are sooo cute… Well, we made quite a mess in the kitchen, but it was well worth it. 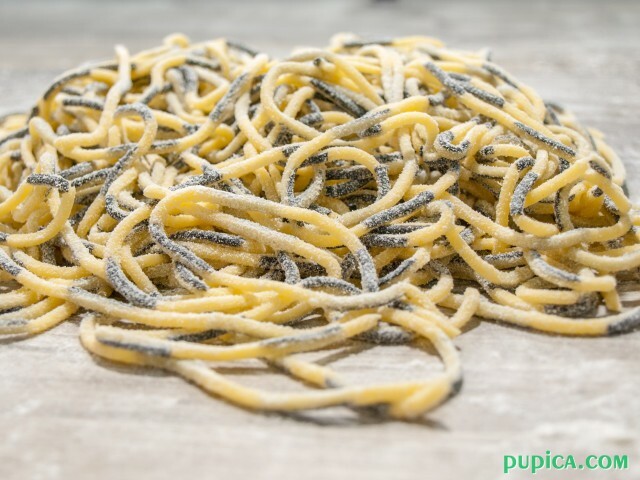 I absolutely love preparing fresh pasta at home, it is really fun to make… my son was so happy with his role of Mr. Sprinkle the flour all around the kitchen that at some point I didn’t know whether to smile or cry… 🙂 I smiled! I really like experimenting when it comes to making fresh pasta at home because you can make some great forms of pasta and make different coloring using fresh ingredients and not conventional food dyes. If you never made pasta before, I won’t say it will be easy, but with some practice you will make delicious fresh pasta at home in no time. I have a pasta machine, so it makes it all much easier, but if you don’t have one at home, you can use the rolling pin, but it will be a bit difficult to make spaghetti. In that case, you can opt for tagliatelle. On the photos, you can see that the pasta is heavily sprinkled with flour, well, it should be less sprinkled with flour, my son’s to blame 🙂 but if it happens to you too, no worries, when you put it in the boiling water, the excess of flour will go away. This time, I prepared only 500 g of pasta, so for dinner I made some delicious spaghetti with mussels and stored the rest of spaghetti in the fridge in an air-tight container. This way you can store the pasta for max 2 days. If you want to store it for a week, you should cook it, slightly coat it with olive oil and put it in the fridge in an air-tight container. I will write a post dedicated to drying and storing fresh homemade pasta. Stay tuned if you’re interested. 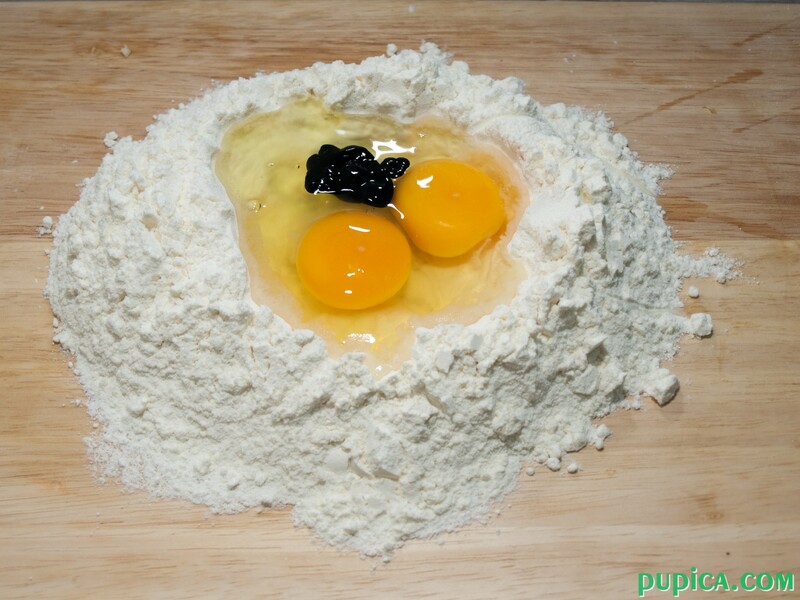 1Repeat the procedure as with the egg dough, the only difference is that you put the squid ink with the eggs in the flour well. 1Cover the doughs with a cloth and let them sit for 20 minutes. 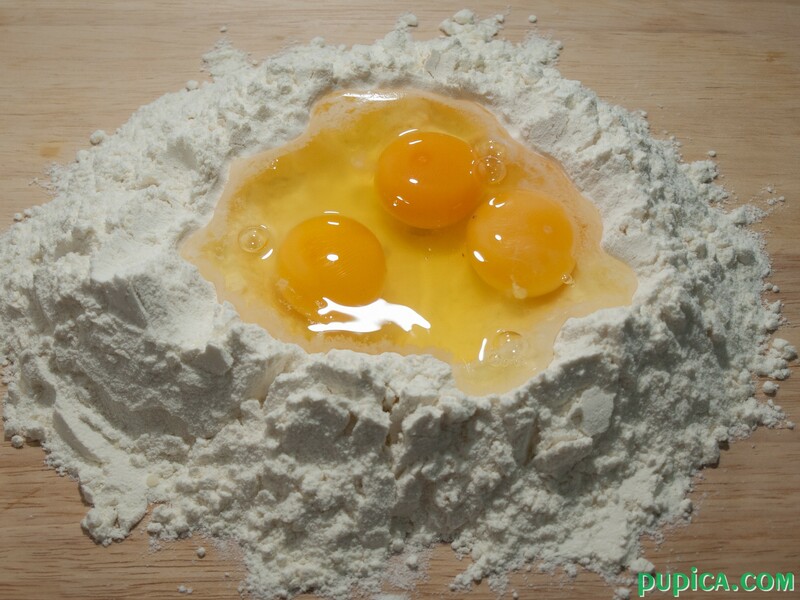 2Cut the egg dough in half and flatten it, then sprinkle it with some flour. Pass the dough through the pasta machine (two times). 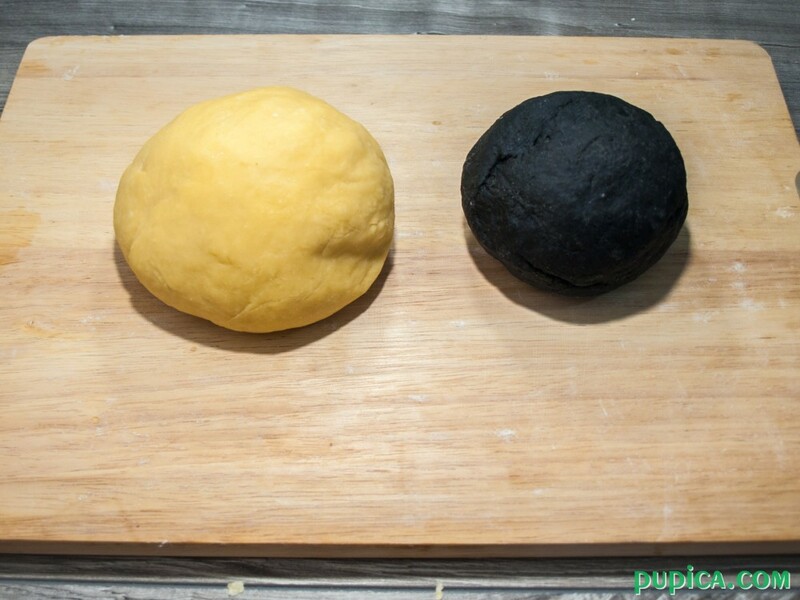 Now cut in half the squid ink dough and flatten it through the pasta machine just as the first dough. Then make tagliatelle with it. 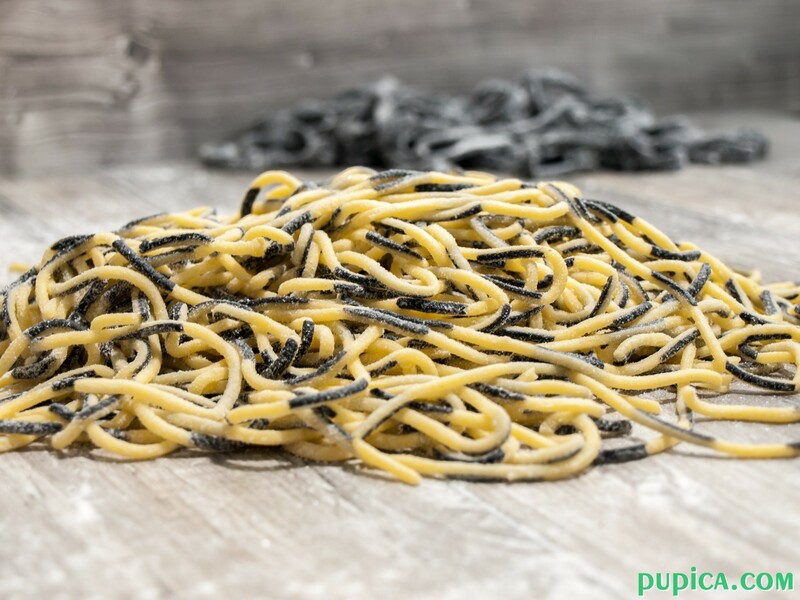 Spray flattened egg dough with some water and place on it the squid ink tagliatelle. (as on the photo). 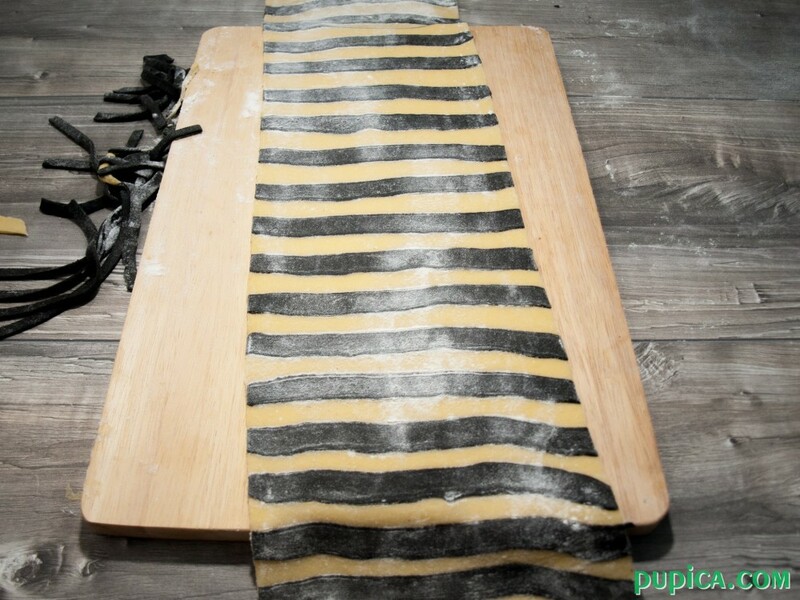 3Cut the excess of pasta and roll the dough again with the pasta machine. 4With this dough make spaghetti with your pasta machine. 5Repeat the procedure with the other half of egg dough and squid ink dough. Love the idea, sure will try this.